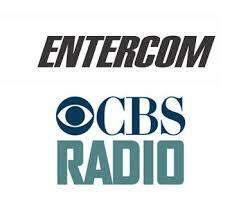 The FCC approved Entercom’s merger with CBS Radio, making it the second-largest broadcasting company after iHeartMedia with 235 radio stations in the USA. The merger is expected to formally occur this week as the offer expires November 16th. Locally, CBS stations KYXY 96.5 and KEGY 103.7 join Entercom stations KBZT 94.9, KSON 97.3, and KXSN 98.1. In order to keep from exceeding the FCC-imposed limit of owning five FM stations in a single market, Entercom sold KSOQ 92.1 Escondido to Educational Media Foundation (EMF). The San Diego Entercom stations are planning to move to a new studio and office facility on Granite Ridge Drive across the street from iHeartMedia and NBC 7. KSON has been advertising a mysterious Reset Our Preset move scheduled for Friday, November 17. We hear that KSON is moving its country format from 97.3 to 103.7 due to its better coverage of North County from Mt. Soledad since KSON’s Class A satellite station KSOQ near Escondido was sold. KSON’s main transmitter is at the KOGO towers in Emerald Hills, San Diego. UPDATE: KSON moved to 103.7 MHz Friday, November 17, 2017 as speculated. The station began running a loop telling listeners of 97.3 to tune to 103.7 and Energy listeners to “set a preset” to 97.3 (though they aren’t playing that format at this time).